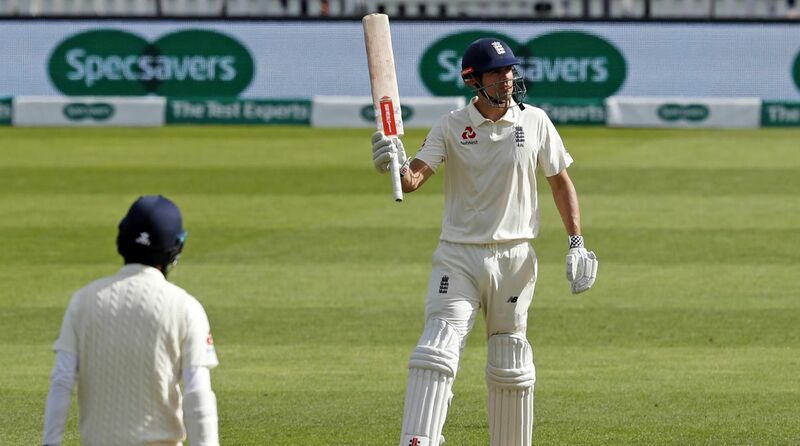 Former England skipper Alastair Cook missed out on a century as the Joe Root-led side threw away a perfect start to huff and puff their way to 198 runs for a loss of seven wickets at the conclusion of the opening day of the fifth and last Test match of the ongoing series. The match is being placed at the Oval. Batting first, the openers gave England a decent start by adding a 60-run stand for the first wicket. Even after Keaton Jennings was removed by Ravindra Jadeja, England continued their over-cautious approach. Following Jennings’ departure, Alastair Cook and Moeen Ali took England’s innings forward against some disciplined and sustained Indian bowling. On Friday, for an instance when England were 133 for 1, it seems Joe Root’s side is in control of the game. 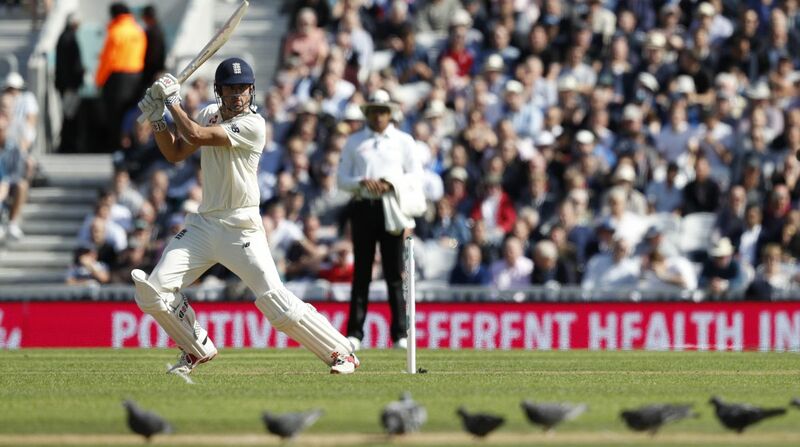 However, after Cook was removed, spectators once again witnessed a batting collapsed by the home team. The ongoing fifth Test match is also England’s highest Test run-getter Alastair Cook’s last international match. 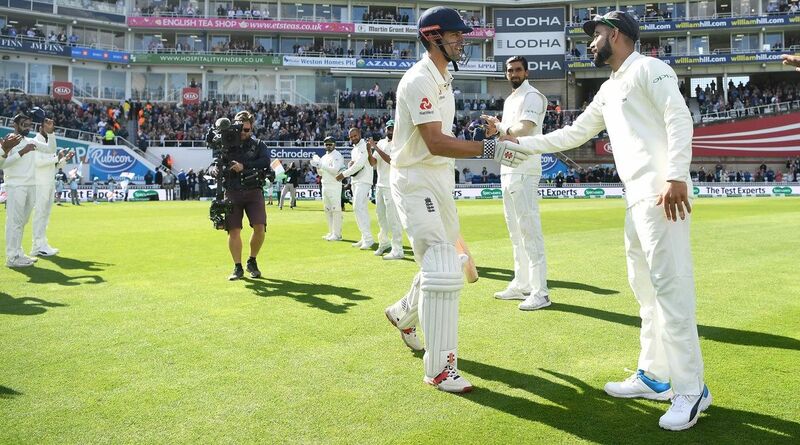 On Friday, as Cook walked out to bat, the 33-year-old batsman took a guard of honour form the Indian team — a handshake from rival skipper Virat Kohli and a standing ovation from the Oval crowd. Alastair Cook has played 161 Test matches for England and scored 12,254 runs at an average of 44.88 with the help of 32 hundreds and 56 half centuries. 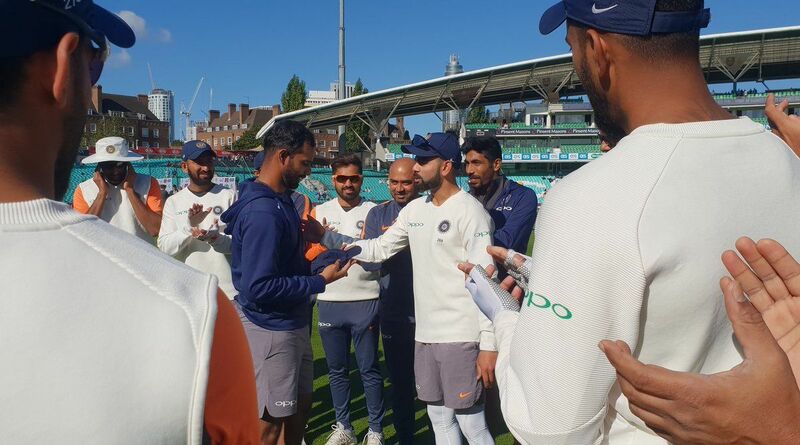 On the first day of the final Test match, skipper Virat Kohli and team management once again came under heavy criticism for team selection after debutant Hanuma Vihari was included in team’s playing XI ahead Karun Nair. Nair, picked in the Indian squad for the initial three Test matches, was then retained by selectors for the final two matches of the series. Despite getting selected in both the squads, Nair has not played a single Test match in this tour. After Virat Kohli announced his playing XI, his decision to include Hanuma Vihari and not Karun Nair has received plenty of flak on the micro-blogging site, Twitter. The 29-year-old captain’s decision to ignore Karun Nair was also heavily criticised by Sunil Gavaskar during the pre-match show. “Karun Nair has every right to ask the team management why he is not in the team. He deserves an answer. You didn’t pick an extra specialist batsman earlier, but now that you have, Karun Nair deserves an answer,” Gavaskar said. All-rounder Ravindra Jadeja was finally included in Team’s playing XI for the fifth Test match and he grabbed the opportunity by claiming two crucial wickets. 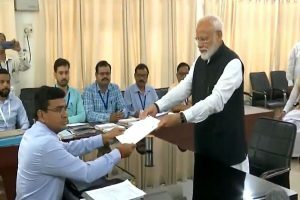 On Friday, the visiting team made two changes in their playing XI — Hardik Pandya was replaced by Hanuma Vihari and Ravindra Jadeja was included in place of injured R Ashwin. Ravindra Jadeja has warmed the benches until now, but now that he has been given the opportunity he has shown what he is capable of. Ravindra Jadeja bowled a terrific spell and claimed 2 wickets in 24 overs and conceded 57 runs. Alastair Cook finally shone with the bat in the second-last innings of his international Test career. Though Cook missed out a century in his final Test match, he will again get the chance to score a ton in the last innings of his Test career. On Friday Cook scored 71 runs and gave England a decent start with the bat. 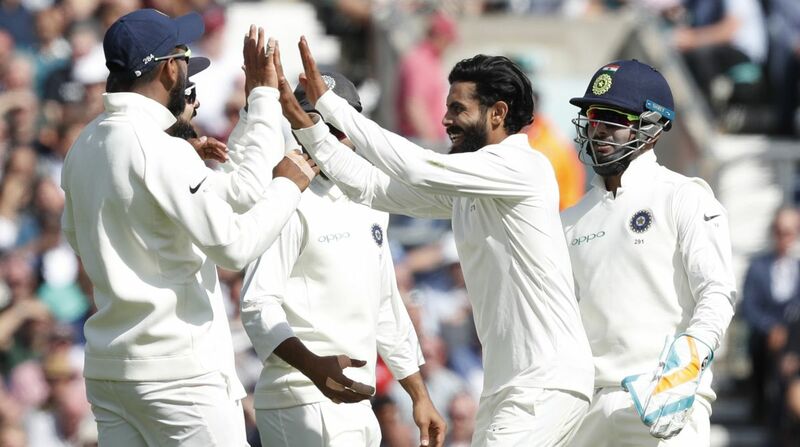 Cook’s dismissal was also the turning point in the game as after he was sent back, Indian roared their way back into the game to take full control of proceedings. Though India have already lost the five-match Test series and have just four more days left in this tour, Kohli’s side proved they have one of the most lethal pace attacks in their squad, which can come handy during Australia tour. The way Indian pacers bowled throughout the series was simply outstanding. 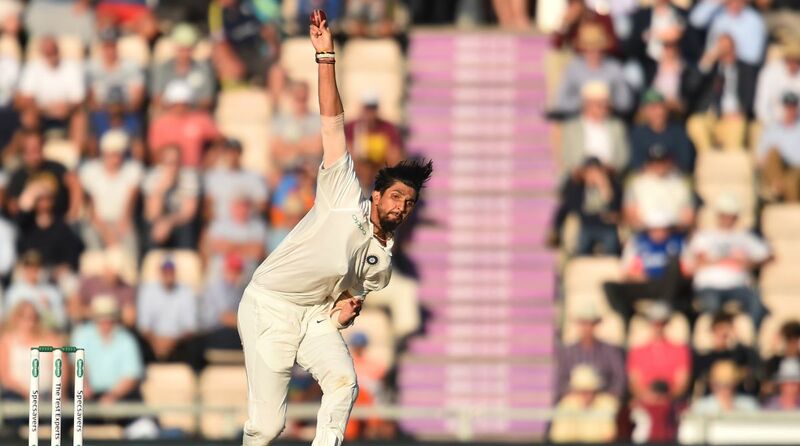 On the opening day of the final Test match, Indian pacers Ishant Sharma, Mohammed Shami and Jasprit Bumrah kept England at bay all day by hitting the correct areas consistently. Ishant Sharma and Jasprit Bumrah shared five wickets and Mohammed Shami was wicketless at the end of first day’s game.